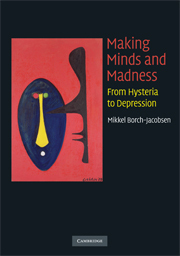 Making minds and madness : from hysteria to depression / Mikkel Borch-Jacobsen. ISBN 978-0-521-88863-9 (hardback) – ISBN 978-0-521-71688-8 (pbk.) 1. Psychotherapy.